Tobacco harms the health, affects budgets and contributes to an unproductive and weak society says the National Department of Health Secretary Pascoe Kase. 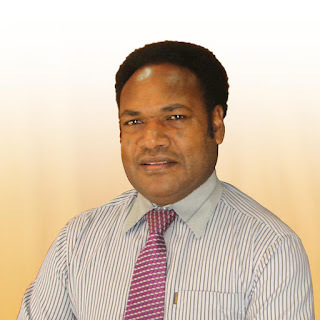 Every year in Papua New Guinea (PNG) studies have shown that more than 4600 of its people are killed by tobacco-caused disease, while more than one million and ninety-one thousand (1,091, 000) children and more than one million six hundred and fifty-eight thousand (1, 658, 000) adults continue to use tobacco each day, according to Kase. “The consumption of cigarettes in PNG appears to be increasing in tenfold largely as a result of no stringent measures, he said,” he said. “PNG is ranked the highest in the Western Pacific Region for tobacco consumption with 44% of the population smoking. Now with the increase with illicit tobacco or counterfeit cigarettes on the streets, the rate may have gone up. For the prosperity and health of the nation, the government of PNG is taking a sweeping measure to ban smoking in public places. World No Tobacco Day as it also calls for tobacco control advocates to reach out to other communities to strengthen their efforts in this mortal fight. Under the theme “Get Ready for Plain Packaging” the health department is looking at ways to legislate the production and consumption of tobacco. The theme talks of the removal of all branding (colours, imagery, corporate logos and trademarks), permitting health warnings only. “The government and the Health Department is calling on all sectors, private, corporate and other government agencies responsible to work together and in the combat to fight against tobacco control and as much as possible minimize its sale and advertising of cigarettes,” Kase said. As smoking cigarettes kills millions of precious lives each year around the world, in PNG, smoking has become a societal norm. This has meant that tobacco related diseases such as heart disease, high blood pressure, strokes, respiratory diseases and other non-communicable diseases have increased. The current government does not want our promising young men and women to pose a danger to their own lives so the Health Department in consultation with Ministry of Health and HIV will seek tougher laws on cigarette consumption.